The craft beer scene in Maine has grown in leaps and bounds in recent years with many new breweries and tasting rooms popping up all over the state. 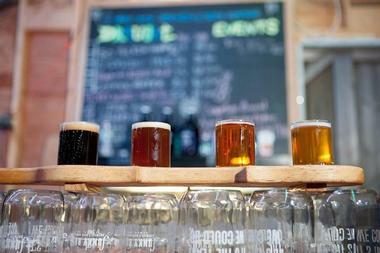 Maine is home to some of the hottest new breweries offering up tastes and growler fills with a variety of different styles of beer. © D.L. Geary Brewing Co. Founded by David and Karen Geary in 1983, D. L. Geary Brewing Company was one of the first new microbreweries during America’s late 20th-century brewing renaissance and is still one of Portland’s most popular spots for tasting excellent brews. The granddaddy of Maine breweries recently opened a tasting room offering a rotating selection of its English-style beers in both five-ounce, and 10-ounce pours, along with a one-barrel pilot system that has been rolling out experiments. The brewery’s top ale is the signature Geary’s Pale Ale, which has a clear burnt-gold coloring, a thick, long-lasting head, and the scent of clean, flowery English hops with a classic English pale ale flavor. D. L. Geary Brewing Company is open Monday through Saturday during the summer with brewery tours available every day. Bissell Brothers Brewing Company is a new-age brewery with polished concrete floors, soaring ceilings, rustic garage doors that open onto a patio, and colorful cans and graphics showcasing as art pieces as much as advertisements. 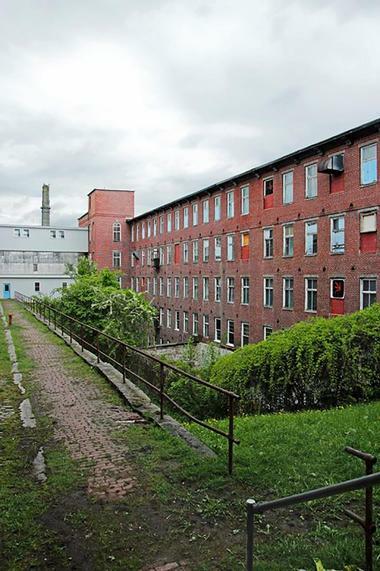 Housed in an industrial space in a development called Thompson’s Point, Bissell Brothers Brewing Company was established in 2013 by brothers Peter and Noah and was an instant success with their flagship brew known as The Substance Ale. The five-hop, orange-y ale formed the foundation for the kind of pillowy-soft blends Bissell still likes to make and is still made weekly, such as the Sigil 3, Nothing Gold, Baby Genius, Lux, and Bucolia. The tasting room is open Wednesday through Sunday and offers a menu of light snacks to accompany the tastings. Nestled in an enchanted forest amongst rolling farmlands and winding tidal rivers, Oxbow Blending & Bottling is a small farmhouse brewery located in rural Newcastle, Maine that produces a range of craft beers inspired by the spectacular natural beauty that surrounds the brewery. Named for the local winding tidal rivers, Oxbow Blending & Bottling features an expansive tasting room that offers a friendly picnic table service for draft and bottle samples of the brewery's funky farmhouse ales, which include Space Cowboy, Bowie, Black Light, Loretta, and the signature Farmhouse Pale Ale. The tasting room is open Monday through Sunday and beers are available in 5-, 8-, and 12-ounce pours, as well as bottles to go. 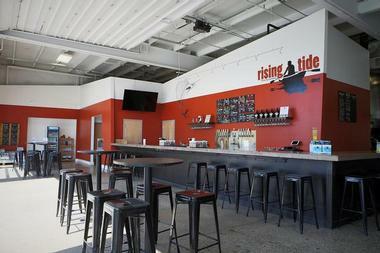 Rising Tide Brewing Company is a family-owned artisanal craft brewery located in Portland offering a variety of beers and brews in an airy tasting room, which also hosts live music, food trucks, and guided brewery tours. The brewery specializes in handcrafted ales brewed in small batches and produces four to eight beers of diverse styles of beer, including small-batch brews from the Seven Barrel and Entrepot ("warehouse") series, and year-round brews like Daymark American pale ale. The newly expanded tasting room features an outdoor patio for warm weather tasting a food truck in the parking lot. The tasting room is open from Monday through Sunday and beers are available in cans and on draft, as well as at select locations in Maine, Massachusetts, New Hampshire, and Rhode Island. 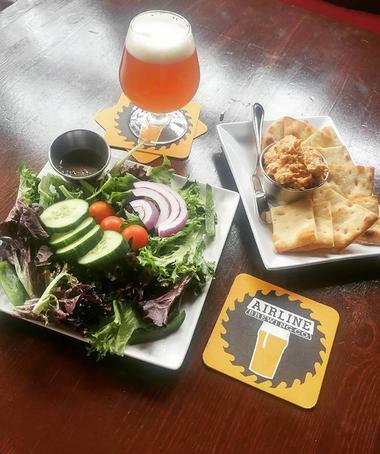 Established in 2015, Airline Brewing Company, formerly known as Square Tail, is focused on but not limited to British styles of beer with the apt slogan, "Peace, Trout, and Milk Stout." Located in a retired furniture mill that was once a thriving furniture company in Amherst, Airline Brewing Company boasts refurbished woodworking machinery from the late 1800s at which visitors sit while tasting the brewery’s handcrafted brews such as Lazy Paddle Milk Stout, Mooned Loon Pale Ale, and Fiddlehead ESB. 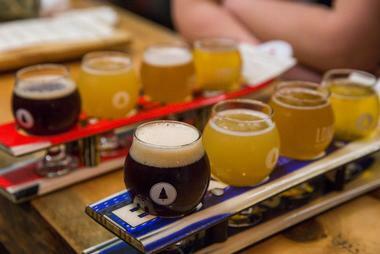 Airline Brewing Company’s tasting room is open Thursday through Sunday. Allagash Brewing Company is a Belgian-style brewery in Portland that produces a rotating selection of limited edition German and British style beers brews. Founded in 1995 by Rob Tod, the small, 15-barrel brewery produces a variety of bottle-conditioned, double fermented ales with hints of Curaçao orange peel, coriander, wheat, barley, and other spices. Signature brews include Black - a Belgian-style stout; House - brewed in the style of a traditional of Belgian house; Saison – a Belgian farmhouse-style ale; Dubbel – a Belgian-style Dubbel; Tripel -a Belgian-style Tripel; White – a Belgian-style wheat beer; and CURIEUX - Belgian Tripel aged in bourbon barrels for seven weeks. The brewery is open for tastings in the retail store every day where visitors can sample three-ounce pours of four different beers for free. 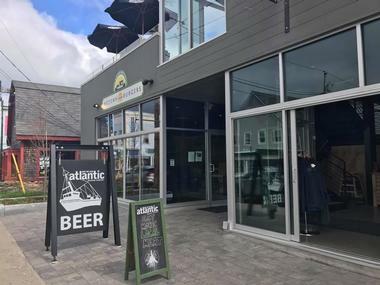 The Atlantic Brewing Company is a microbrewery in Bar Harbor that produces a range of classic, seasonal and small batch series of brews, along with daily tours of the facility and tastings for visitors. Built on the grounds of a 19th-century Maine farmstead in Town Hill located minutes from downtown Bar Harbor that features local stonework and beautiful grounds full of native vegetation, the Atlantic Brewing Company has a tasting room that is open daily from late May to mid-October with tours offered every day in season. 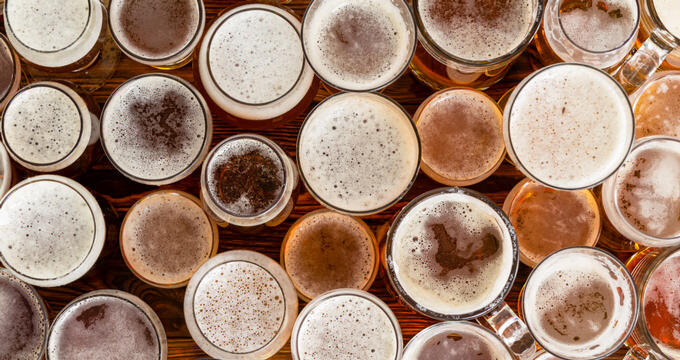 Visitors can learn all about the brewery’s small-scale beer production and sample some of the brews produced on sites, such as Bar Harbor Summer Ale, Leaf-Peeping Ale, New Guy IPA, Coal Porter, Island Ginger, and Blueberry Ale. Banded Horn Brewing Company is a small, locally owned and operated the facility with a brewery and tasting room on site that is open to the public. Open Monday through Sunday; the taproom offers a variety of samples of the brewery’s best tipple, including year-round brews such as Pepperell Pilsener and Veridian IPA, and a rotating selection of seasonal and limited-edition offerings such as the smoked German-style Rauchbier. The tasting room also serves light fare to accompany the brews such as grilled cheese sandwiches, pretzel bites, and homemade pies and sells growlers and bottles of beer to go. Thursday nights host live DJs spinning decks and other entertainment. © Barreled Souls Brewing Co.
Based in a basement speakeasy-like space, Barreled Souls Brewing is a young brewery that produces a wide variety of small-batch beers which are brewed on a small, now-uncommon Burton Union System. Owned and operated by Chris Schofield and Matthew Mills, Barreled Souls Brewing Co. uses the now different fermentation system, which enables the beers to be brewed in 100% oak barrel-fermented instead of produced in stainless steel vessels, giving them a distinct flavor and taste. Signature beers include Half Shilling Scottish Ale, Celestial Person, Cantaloupe Island Sour – Gose, Silver Hawks IPA - Session / India Session Ale, The Authenticity Ship Has Sailed Sour – Gose, Blue Raspberry Gose brewed with Proclamation Ale Co, Alisson's Family Jeans IPA - Session / India Session Ale, and Quaker Stout – Oatmeal. 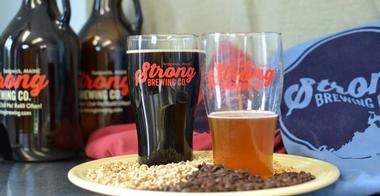 The brewery tasting room carries 12 varieties on draft in small and large pours, as well as 32-ounce growlers to go. Baxter Brewing Co. is a locally owned and operated brewery and tasting room that produces small-batch experimental brews and the first of its kind in New England to can all of its beer. 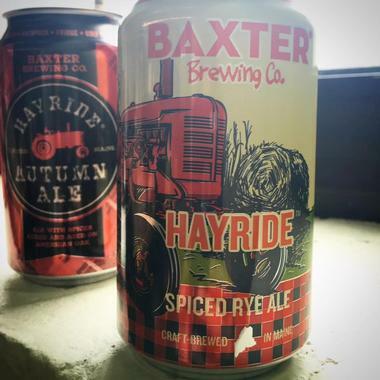 Located in Bates Mill in the active community of Lewiston/Auburn, ME, Baxter Brewing Co. currently produces signature beers such as Stowaway IPA, Pamola Pale Ale, and Tarnation Maine Lager and distributes them around the state in both six-packs and on draughts. The brewery features an in-house retail shop and Tap Room where the beers can be tasted and bought, along with a selection of merchandise. Baxter Brewing Co. also hosts a variety of events throughout the year. Boothbay Craft Brewery & Tavern is a family-owned brewery that produces fresh; handcrafted local beers served with all-natural foods in a warm, friendly atmosphere. Founded in 2005 with the hopes of creating a neighborhood gathering place where the community could gather and enjoy signature beers, Boothbay Craft Brewery & Tavern is one of the neighborhood’s most popular hangout spots. 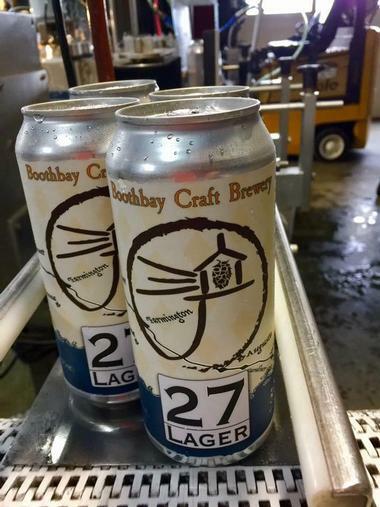 Boothbay Craft Brewery offers guided tours of the brewhouse where visitors learn all about the brewing process and taste the product. Signature brews include the flagship 633 Pale Ale, Black Rocks Stout, and the Dexter Rippa Red IPA, which is available in burly 32-ounce cans. 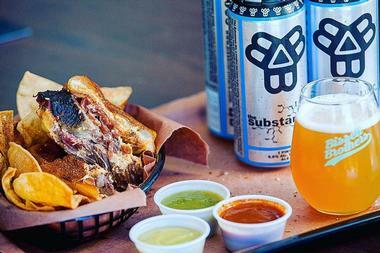 The Watershed Tavern is a revolutionary-style brewpub that serves excellent farm-to-table fare for lunch and dinner. 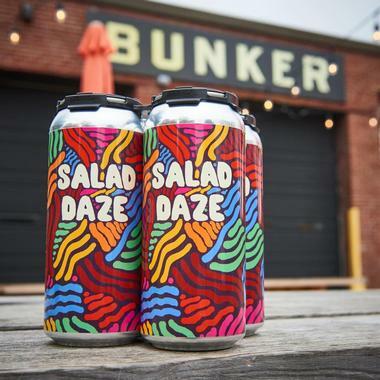 Bunker Brewing Co. is a lager-style craft brewer with two locations in East Bayside and Libbytown. Owned by Chresten Sorenson and restaurateur Jay Villani, the tap house is set in a former warehouse with 9,000 square feet of space, soaring ceilings, pressed tin ceiling tiles, a network of shiny new tanks, crushed oil barrels and a salvaged wooden bar. This clean industrial space produces up to 10 beers, including Salad Daze, Machine Czech Pilz, and the sour Peach for the Stars, which are available in cans. 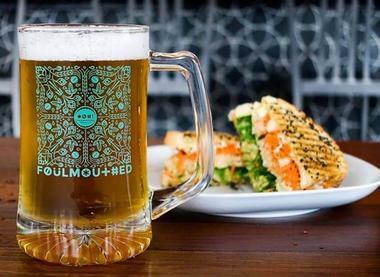 Bunker’s tasting room has a nitro tap which dispenses cold brew from Tandem during the warm months, and a fleet of food trucks make their rounds to provide delicious on-the-go fare. The Bunker Brewing Co. tasting room is open Wednesday through Sunday, with extended hours. 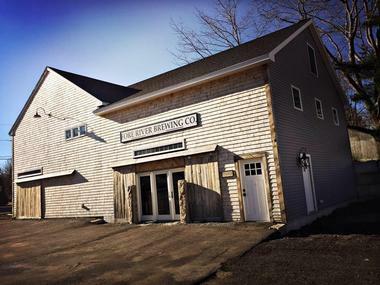 Fore River Brewing Company is South Portland’s first brewery in over ten years and produces a red ale, IPA, and nitro milk stout which can be tasted in a spacious tasting room with a large bar. The brewery was borne from an appreciation and passion for traditional beer styles and methods and is based in a rustic space built from reclaimed materials. Fore River Brewing Company produces a selection of beers, including Lygonia IPA (6.5% ABV), John Henry Milk Stout (5.2%), and Timberhitch Irish Red (5.5%), which can be sampled in the tasting room Wednesday through Sunday. Visitors can also enjoy tours of the brewery and learn more about the brewing process, equipment, and practices of the production of the beer. Foulmouthed Brewing is a small, laid-back brewpub located in an old auto garage in South Portland that produces a range of unique beers and pairs seasonally rotating cuisine and cocktails in a food and beer pairing concept. Signature beers include Meggy – a sour saison with Balaton tart cherries; Knightvillian – a German-style black ale; Good Thing – a pale ale with local Blue Ox malts and Maine grew Nugget hops; Triforce IPA; and Rhubarb De Garde – a French-style strong ale with a tart earthy kick. Foulmouthed's finest beers are available to go in growlers with a handle. Foulmouthed Brewing is open Monday through Sunday throughout the year. Founded in 2012 and opened in 2014, Foundation Brewing Company produces a range of world-class Maine beers. 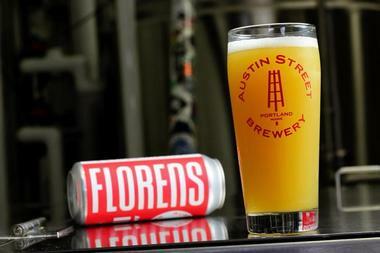 Located at 1 Industrial Way in Portland, the locally owned and operated brewery produces exciting beers that push conventional boundaries, such as year-rounders like Eddy (a saison) and Blaze (a farmhouse IPA), Zuurzing (a farmhouse ale), Afterglow (an American IPA), and Riverton Flyer (a Pilsner). The tasting room offers these beers along with several other small-batch brews to try, and multiple tasting sizes are available for purchase, along with 32-ounce and 64-ounce growlers. 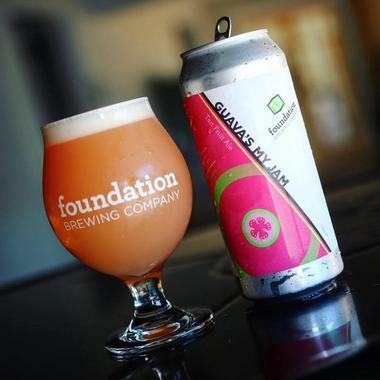 Some of the beers are canned with a rotating assortment of 16-ounce tall boys for sale. Foundation Brewing Company is open Monday through Sunday. 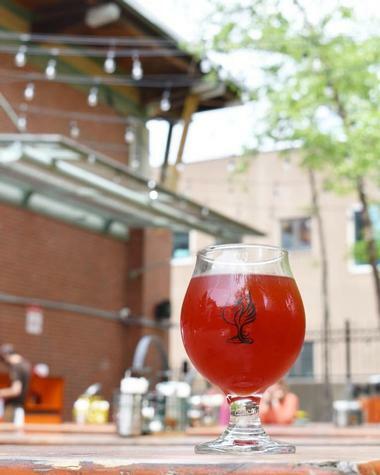 Set on a 25-acre organic farm deep in the woods of Lyman, Funky Bow Brewery & Beer Company is a locally owned and operated brewery and tasting room which produces a range of classic and seasonal ales, and other rotating brews, along with light fare such as wood-fired pizza. Run by a father and son team, the brewery hosts gatherings Friday through Sunday with live music and other entertainment, along with free small samples of the brewery’s beers, and full pours of beers for sale, like the So Folkin' Hoppy IPA, G-String Pale Ale, and other rotating options. Located deep in the woods of rural Limerick in the foothills of the White Mountains, Gneiss Brewing Company is an off-the-beaten-path brewery that specializes in German-style ales and wheat beers, such as the flagship Gneiss Weiss and the American wheat IPA, Tectonic Tomahawk. 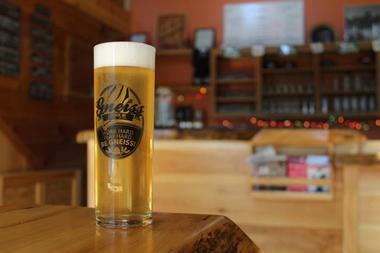 Founded in 2013, Gneiss Brewing Company began as a passion project between two friends with a focus on creating balanced beers that pay respect to the rich German heritage and the age-old tradition of brewing. Gneiss Brewing Company’s tasting room sells samples and growlers small and large, limited bottle releases of unusual offerings, and offers tastings of the brewery’s products such as Tweiss, Intrusive, Archean, and the flagship Gneiss Weiss. Founded by Tom Madden and John Paul, Lone Pine Brewing Company is a bright pink brewery on Anderson Street that produces a range of rotating and seasonal brews, such as the flagship Portland Pale Ale and What What! Wheat, a hoppy wheat ale. Other beers in the brewery’s arsenal include Brightside IPA, and Blackberry Sparkler – American Sour Ale, all of which can be enjoyed in the tasting room, which is open Thursdays through Sundays. Lone Pine Brewing Company beers are available at stores around the city, including Bier Cellar, Craft Beer Cellar, and RSVP in Portland. 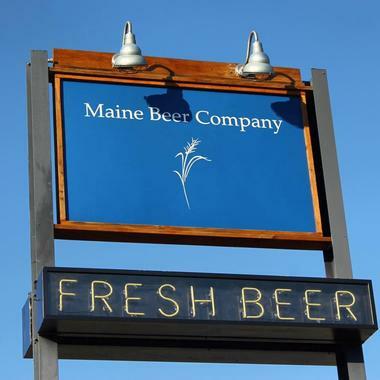 Maine Beer Company is a family-owned and operated business run by two brothers that produces a range of classic, rotating and seasonal beers, and gives 1% of the company profits to a variety of environmental non-profit organizations such as Allied Whale, The Center for Wildlife, Maine Audubon, and The Dian Fossey Gorilla Fund, among others. The tasting room features eight beers on tap, including some limited and brewery-only releases such as Peeper, Lunch, MO, Another One, Mean Old Tom, King Titus, and Post Ride Snack. Wood-fired pizza is available during tasting room hours, as well as bottles of our beer to-go, merchandise, and gift certificates. Marsh Island Brewing is a family-owned and operated business that began as a conversation and fast became one of Orono’s most successful companies. Owned by Jim and Alice Swett and son, Prentiss Swett, the brewery opened in 2015 with the release of the Downrigger IPA, which was fermented in a three-barrel system. Growing demand saw the brewery convert to two seven-barrel systems and a canning machine and the facility now produces and sells multiple pour sizes of eight different beers, like the flagship Peeper Ale and the coveted Lunch IPA. The tasting room overlooks the brewery floor and gives a view of the brewery’s working systems and is open for tasting and sales Monday through Saturday. 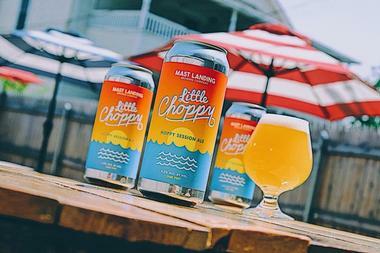 Mast Landing Brewing Company began with a simple homebrew kit in 2013 and grew into a burgeoning basement business of mashing, boiling, and fermenting beer every weekend. 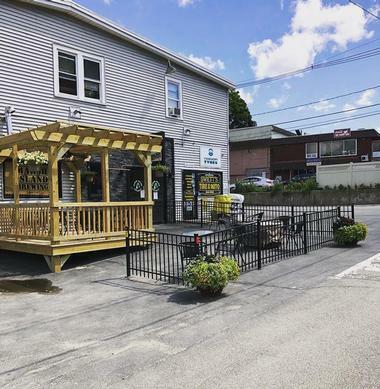 Today, the locally owned and operated business in Westbrook has moved from the former limousine garage in which it was based to a functional brewing space and a nautically-themed tasting room, where an ever-expanding line of their beers are available on tap and in growlers. Signature beers include Little Choppy, a Hoppy Session Ale; Power Brunch, a Session India Pale Ale; On the Ocean, a Pale Ale; Gunner’s Daughter – a Peanut Butter Milk Stout; and Neon Sails, an Indian Pale Ale. The tasting room is open Thursdays through Sundays and food from nearby restaurants can be brought in or delivered. 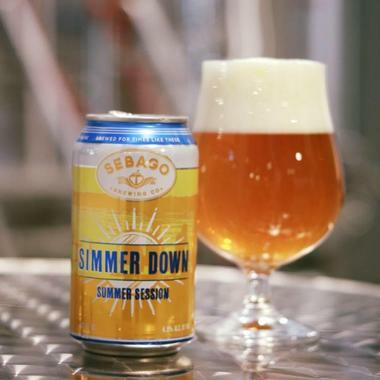 Situated in Portland's Historic Old Port, Sebago Brewing Company was founded as a single brewpub in Scarborough in 1998 and produces high-quality craft beers brewed with American malt, hops and fresh water from Maine's Sebago Lake. Boasting three brewpubs and restaurants in Portland, Gorham, and Kennebunk, Sebago Brewing Company offers five year-round beers and several seasonal and special onetime brews, including Frye's Leap IPA, Slick Nick Long Winter Ale and the Single Batch Series and experimental brews. 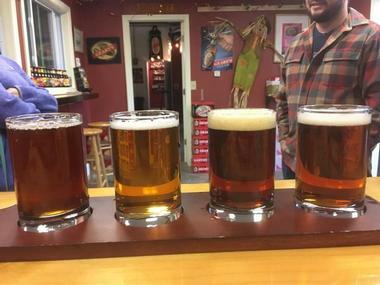 All four Sebago brewpubs offer their full line of beers - fresh from the tanks in the production brewery in Gorham and growlers are filled Wednesday through Friday. 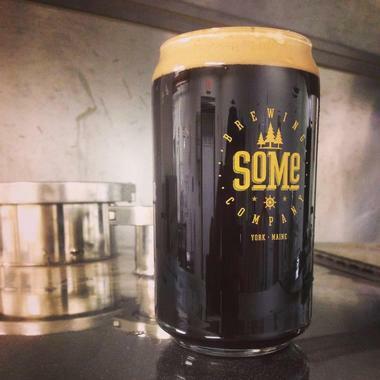 The first microbrewery in southern York County, SoMe (short for Southern Maine) Brewing Company LLC is a locally owned and operated business that produces a range of brews with bright and enticing names such as Sweet Solstice ale, Whoopie Pie Stout, Box the Compass, and Crystal Persuasion IPA. Owned by father and son team, SoMe Brewing Co. has four brews on tap with two more on the way, brewing just 100 gallons at a time and operating a small tasting room that seats 30 to 35 people. The tasting room is open Monday through Sunday and beers are available to taste and in 32-ounce or 64-ounce growlers to take home, along with kegs of beer. Robust Brewing Company is a small family-run and community-supported brewery in the heart of the Blue Hill Peninsula that produces craft beers in a range of beer styles. The brewery began as a garage business in Sedgewick and grew to produce high-quality ales and lagers from a completely homemade 1.5 bbl. Brewhouse. The brewery focuses on creating a fresh draft beer using regional grown malt, hops and organic ingredients wherever possible with signature beers such as the American hybrid Localmotive, the funky Belgian stout Corpulent, and the signature Soulpatch Porter available in 32 oz. And 64 oz. Growlers. D.L. Geary Brewing Co., Photo: D.L. Geary Brewing Co.
Barreled Souls Brewing Co., Photo: Barreled Souls Brewing Co.
Baxter Brewing Co, Photo: Baxter Brewing Co.
Bunker Brewing Co., Photo: Bunker Brewing Co.